Oasis Falafel - gluten free good eating in Iowa City! 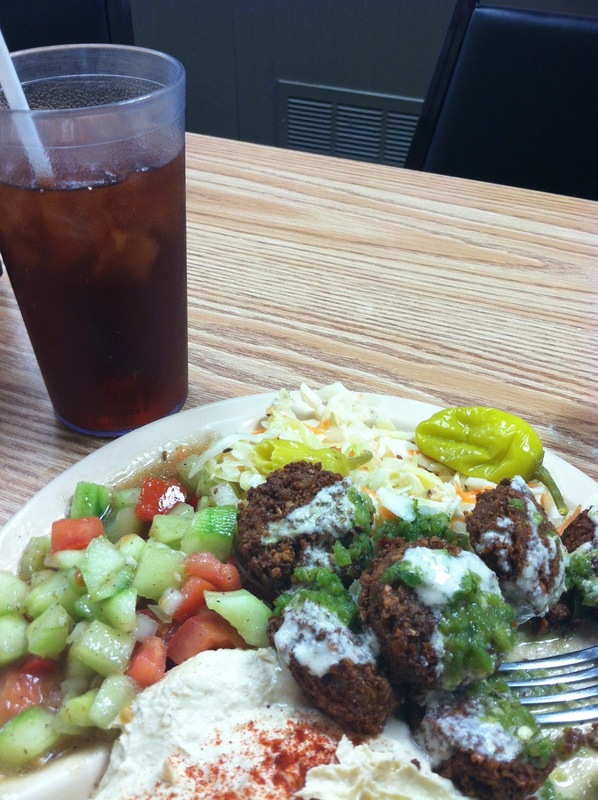 The falafel is fried separately from the pita chips—(the french fries are not)—so it's safe and crunchy and hot and delicious. The hummus is thick and awesome. The slaw is a perfect balance. Don't get the platter with four choices or your stomach will literally explode. Get three things or split it with a friend. They also have unsweetened iced tea, which is just a nice thing.